A dark, moody, boarding-school murder mystery teens won't be able to put down. Katie never thought she'd be the girl with the popular boyfriend. She also never thought he would cheat on her--but the proof is in the photo that people at their boarding school can't stop talking about. Mark swears he doesn't remember anything. But Rose, the girl in the photo, is missing, and Mark is in big trouble. Because it looks like Rose isn't just gone . . . she's dead. Katie needs to find out what really happened, and her digging turns up more than she bargained for, not just about Mark but about someone she loves like a sister: Tessa, her best friend. At Whitney Prep, it's easy to keep secrets . . . especially the cold-blooded kind. 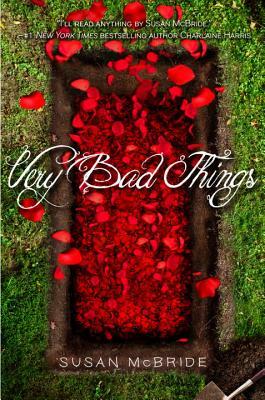 People are saying GOOD THINGS about VERY BAD THINGS . . .
SUSAN MCBRIDE is the award-winning author of fiction for adults and teens. She lives in a suburb of St. Louis with her husband, their daughter, and two cats who think they're dogs. You can visit her at SusanMcBride.com and on Facebook at SusanMcBrideBooks.